VEGAS LUCK is a brand new online casino, all new players get up to 50 free spins with no wagering requirements with your first deposit of £10. 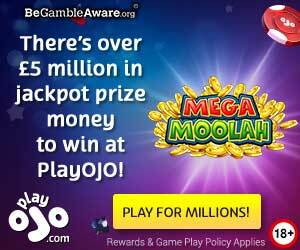 Sign up for a free account and get 1 Free Spin for every £1 of your first deposit, up to 50 Free Spins. Use your Free Spins on a selection of your favorite slots. Play Starburst, Lights, Finn, and the Swirly Spin, or Twin Spin Deluxe.